22" packaged bubble balloon. 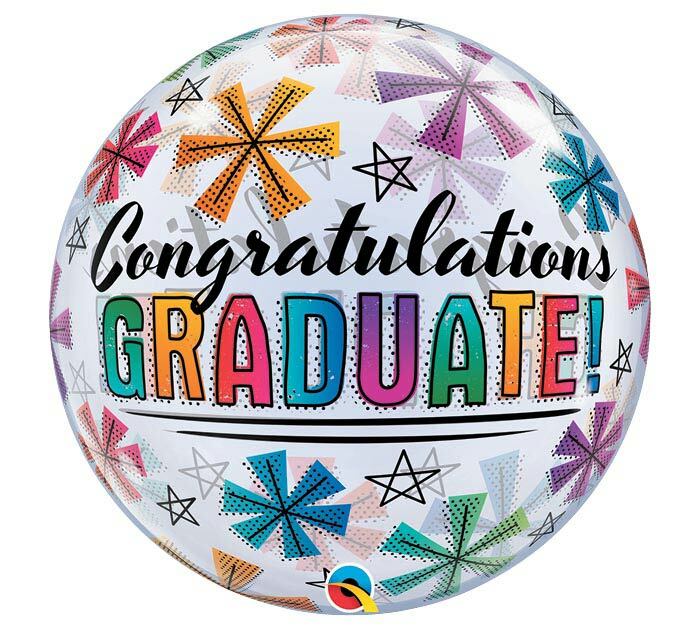 Clear with "pop art" style stars and message: Congratulations Graduate! Requires 0.96 cubic feet of helium and will float up to 7,200 feet.